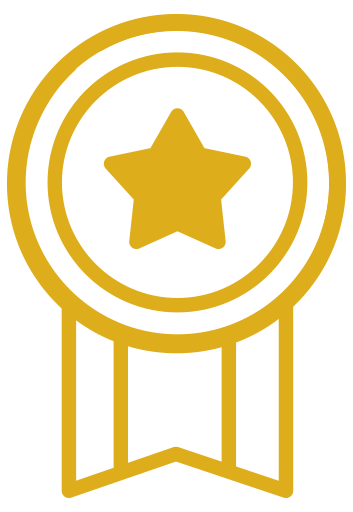 CarbWatchers® Lean Body® MRPs are great for reduced carb diets. CarbWatchers'® Lean Body® Hi-Protein Meal Replacement Shake packets are super convenient and made with 50% less carbs than our popular Lean Body® Hi-Protein Meal Replacement packets. They're great for low carb diets. Carry a packet in your purse, briefcase, or gym bag, and when ready, just mix with water. They're also great for traveling! Enjoy the benefits of a reduced-carb nutritious meal in a smooth, delicious shake which you can make in under a minute — anywhere, any time. Just tear open a packet, put into a glass of cold water and stir, or use a handy shaker cup. Whether you're trying to shape up or simply maintain the body you've already worked hard to achieve, every meal counts. Too many empty carbs in your diet can make it more difficult to get toned. Skip protein, and you'll struggle to stay toned — no matter how much time you clock in the gym. That's why it's so important to eat the right nutrients, in the right amounts, at every meal. CarbWatcher's® Lean Body® Hi-Protein Meal Replacement Shake packets make it easy to comply with your reduced-carb diet. You get 40 grams of high-quality protein, fiber, plus 21 essential vitamins and minerals, in every delicious serving. You'll also love that CarbWatcher's® Lean Body® Hi-Protein Meal Replacement Shake packets contain zero artificial colors, preservatives or trans-fats, and no added sugar. When you want the benefits of a reduced-carb nutritious meal in a smooth, delicious shake, try Carbwatcher's® Lean Body® Hi-Protein Meal Replacement Shake packets. Ingredients: Lean Pro® (Cross Flow Micro Ultrafiltered Whey Protein Isolate, Cross Flow Micro Ultrafiltered Whey Protein Concentrate), Cocoa (processed with alkali), Natural & Artificial Flavors, EFA Plex™ (Sunflower Oil, Creamer [High Oleic Sunflower Oil, Corn Syrup Solids, Sodium Caseinate, Mono- and Diglycerides, Dipotassium Phosphate, Tricalcium Phosphate, Soy Lecithin, Tocopherols], MCT Oil, Flaxseed Oil, Borage Oil), FiberPlex™ (Polydextrose, Fibersol 2 Fiber, Cellulose Gum, Oat Flour, Rice Bran), Vitamin & Mineral Blend (Di-Calcium Phosphate, Magnesium Oxide, Ascorbic Acid, Vitamin E Acetate, Niacinamide, Electrolytic Iron, Zinc Oxide, D-Calcium Pantothenate, Pyridoxine Hydrochloride, Copper Gluconate, Riboflavin, Vitamin A Acetate, Thiamin Mononitrate, Folic Acid, Potassium Iodide, Cyanocobalamin), Salt, Acesulfame Potassium, Sucralose. Recommended Use: As a nutritional supplement, replace 1 daily meal with a packet. To build muscle, add 1-2 packets to your daily food intake. Use 10 oz of water or your favorite beverage. Add 1 packet (79g) of CarbWatchers® Lean Body®, and mix in a blender or shaker. Ingredients: Lean Pro® (Cross Flow Micro Ultrafiltered Whey Protein Isolate, Cross Flow Micro Ultrafiltered Whey Protein Concentrate), Natural & Artificial Flavors, EFA Plex™ (Sunflower Oil, Creamer [High Oleic Sunflower Oil, Corn Syrup Solids, Sodium Caseinate, Mono- and Diglycerides, Dipotassium Phosphate, Tricalcium Phosphate, Soy Lecithin, Tocopherols], MCT Oil, Flaxseed Oil, Borage Oil), FiberPlex™ (Polydextrose, Fibersol 2 Fiber, Cellulose Gum, Oat Flour, Rice Bran), Vitamin & Mineral Blend (Di-Calcium Phosphate, Magnesium Oxide, Ascorbic Acid, Vitamin E Acetate, Niacinamide, Electrolytic Iron, Zinc Oxide, D-Calcium Pantothenate, Pyridoxine Hydrochloride, Copper Gluconate, Riboflavin, Vitamin A Acetate, Thiamin Mononitrate, Folic Acid, Potassium Iodide, Cyanocobalamin), Salt, Sucralose, Acesulfame Potassium. Ingredients: Lean Pro® (Cross Flow Micro Ultrafiltered Whey Protein Isolate, Cross Flow Micro Ultrafiltered Whey Protein Concentrate), Natural & Artificial Flavors, EFA Plex™ (Sunflower Oil, Creamer [High Oleic Sunflower Oil, Corn Syrup Solids, Sodium Caseinate, Mono- and Diglycerides, Dipotassium Phosphate, Tricalcium Phosphate, Soy Lecithin, Tocopherols], MCT Oil, Flaxseed Oil, Borage Oil), FiberPlex™ (Polydextrose, Fibersol 2 Fiber, Cellulose Gum, Oat Flour, Rice Bran), Vitamin & Mineral Blend (Di-Calcium Phosphate, Magnesium Oxide, Ascorbic Acid, Vitamin E Acetate, Niacinamide, Electrolytic Iron, Zinc Oxide, D-Calcium Pantothenate, Pyridoxine Hydrochloride, Copper Gluconate, Riboflavin, Vitamin A Acetate, Thiamin Mononitrate, Folic Acid, Potassium Iodide, Cyanocobalamin), Salt, Beet Powder, Sucralose, Acesulfame Potassium. I have tried numerous shakes and this is by far the very best. I love the Carb Watchers shakes, but especially the Strawberry Ice cream. I throw a few fresh strawberries in there and I almost feel like I'm cheating. It's that good! I've never been one to stick with a supplement for any length of time and I'm very finicky when it comes to flavor/texture and protein taste. So thankful I found Labrada CarbWatchers shakes! The chocolate ice cream flavor really is delicious and surprisingly very filling. I have one every morning after my workout and not hungry until lunch 4 hours later. Been drinking them for well over a year now and don't plan to stop any time soon! Have spread the word to family & friends. Also, had to up my order because my husband and daughter keep taking them! 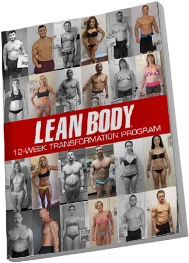 Lean Body Carb Watcher has been my breakfast for over 15 years! I'm a morning workout guy, so I have been starting my day with a post-workout Lean Body shake almost longer than I can remember. Pitch in an extra scoop of protein and your favorite fruit, and you've got a meal that will get you through the morning!! I have used this product on and off for years and have always loved the taste--while I prefer strawberry (tastes great when blended with a banana and frozen berries, too), the chocolate and vanilla are good too. Other brands of protein/meal replacement tend to give me a lot of GI upset which this product in particular (and Labrada products in general) does not. 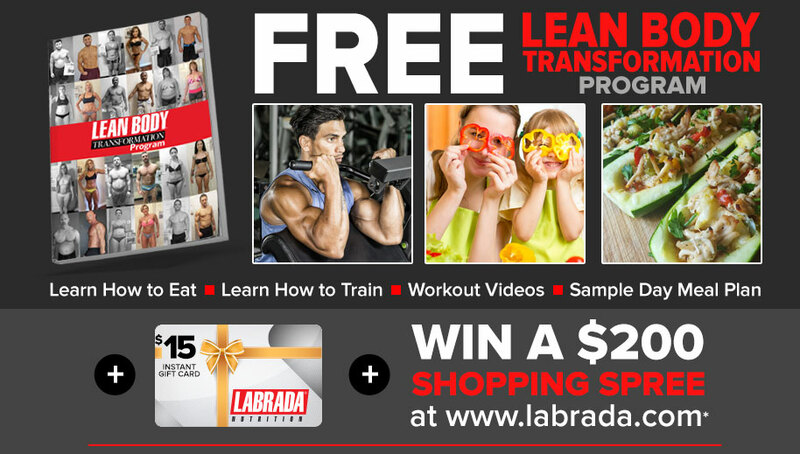 For a year now we have used Labrada, started out here with the Carbwatchers Lean Body which I have great experieces with. Love the taste and gives me that sudden protein fix when I need it. Great Post Workout Shake ! Great taste! I love chocolate ice cream flavor the best! NO chalky taste whatsoever! This is what a shake is supposed to taste like...no wonder Lean Body has won numerous taste awards over the years. More important than taste, look at the facts...Labrada Nutrition puts in generous amounts of key ingredients to replenish the body of what it needs, making this a PERFECT Post workout shake, or a snack inbetween meals. I cannot find any MRP that delivers more than 7,000 mg. BCAA'a 3,570 mg Leucine alone! Not to mention 7,000 mg. Glutamine, and 4,000 mg. EFA-PLEX EFA's. Lean Body Carb Watchers gives you 40 gr. Protein and only 12 g. Complex Carbs! Lean Body are for those serious about putting GOOD quality nutrients in their body, to help lose bodyfat and gain lean muscle. 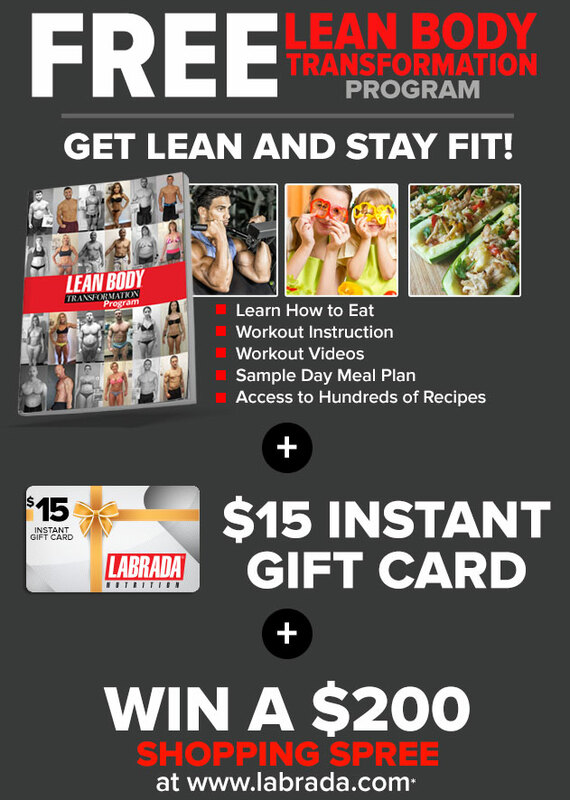 Thanks Labrada Nutrition !